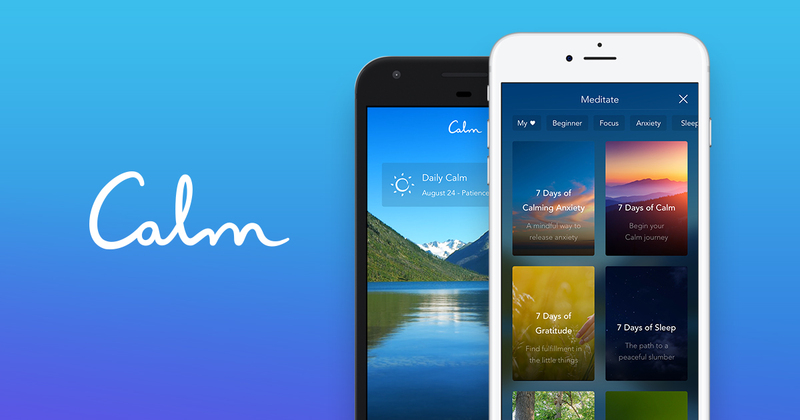 Calm announced it raised $88m in a Series B funding round at a $1B valuation. The sleep, meditation, and relaxation app has grown rapidly to over 40m downloads worldwide, which equates to a new user joining every second. US meditation has more than tripled from 2012 to 2017, according to the CDC. Companies like Calm and Headspace have become major players in the $4T health and wellness industry. When Calm was created 7 years ago, the company struggled to see adoption until about 18 months ago as people were finally becoming more open about mental health. By the end of 2017, Calm relaxed into a comfortable lead, increasing revenue 4x in 2018 and becoming the largest mindfulness app on the market. What sets Calm apart from the deluge of mindfulness apps is primarily their beautiful design as well as their variety of bonus features in addition to meditation. They offer Sleep Stories, Music for focus, relaxation and sleep plus the options to meditate with just nature sounds for a set time period. They also have lectures by experts in the areas of emotions and meditations etc. Why it’s hot: the company has its sights set on becoming the “Nike of the health and wellness industry” which will without doubt introduce a huge influx of similar apps and services to address health and wellness. This entry was posted in Case Studies by Olivia Lord. Bookmark the permalink.